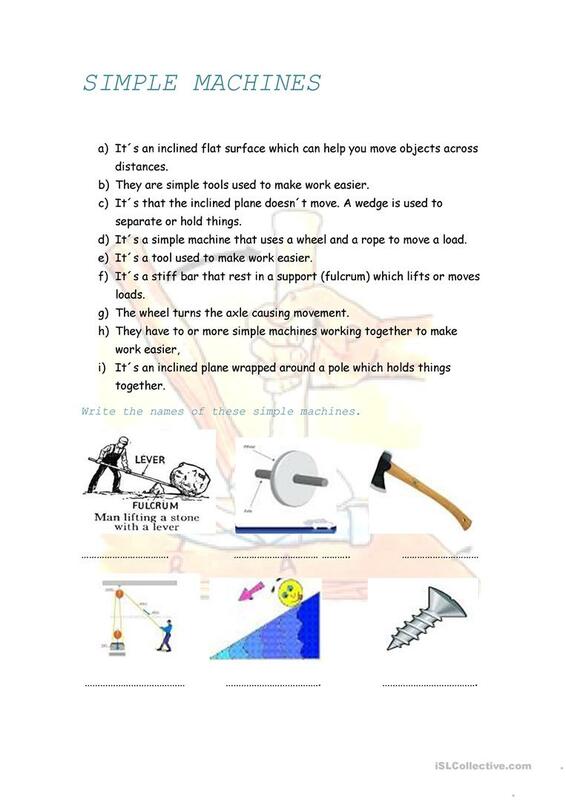 A science worksheet about simple machines. It can be used as a test. 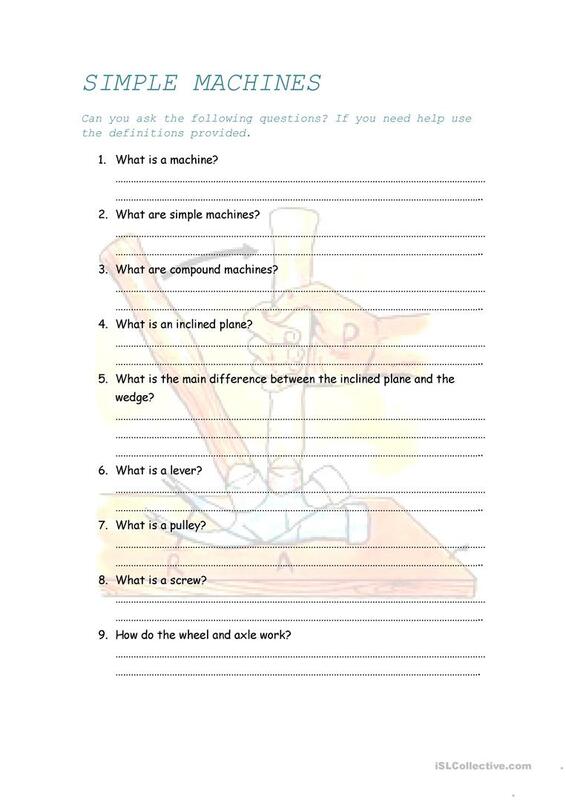 The above printable, downloadable handout was created for elementary school students at Pre-intermediate (A2) and Intermediate (B1) level. It focuses on the topic and words of Technology.